Gold and Pink such a perefect combo!!! Just a dreamy card, so beautiful. Lovely, Anabelle. Love the doily addition that adds so much to this wonderfully vintage Valentine. WOW! 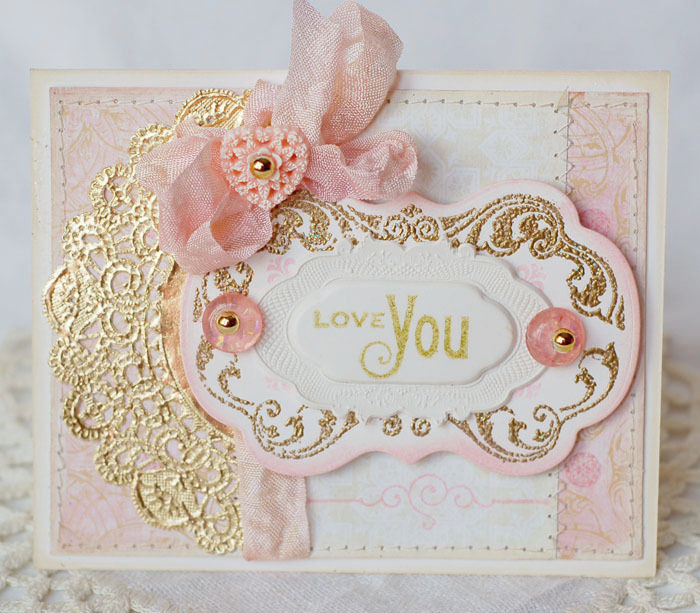 Love the sweet pink, cream and gold combo, a gorgeous card! 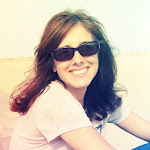 So glad you joined us for the Blog Waltz Annabelle!! Anabelle, your card is beautiful. The gold adds a nice touch to this card. TFS! Wow, Anabelle! Gold and pink definitely are a gorgeous colour combination. I love the doily you added and the pretty heart shaped embellishment. Just wonderful work on this card! Gorgeous, the gold is a Midas touch!!!! Such soft, romantic colours - so pretty! Love it! What a wonderful shabby chic card Anabelle! so glad you joined us in the waltz today - that gold embossing looks super! Such a pretty romantic card. Love the gold doily. Soooooooo AMAZINGLY beautiful! Those colors are divine together! Very pretty! The gold embossing just makes your card! LOVE the pink and cream! LOVE the heart button in your bow! LOVE the label and the gold embossing! Just BEAUTIFUL! Your card is so pretty and feminine. I love it! The gold embossing and the gold doily are the perfect touch. Such a pretty card! I love the colurs you have used. Pfffiiiooouuuu !!! This is simply gorgeous !!! Love the golden touches on this, Anabelle! Your cards are always so full of beautiful, girly layers! Anabelle this is so sweet! Oh Anabelle! Another gorgeous card! Love the embossed WM label and the beautiful WP DP! So romantic looking! Gorgeous card. Love the gold embossing. This is quite pretty! Love the gold embossing with the gold doily! I'm liking the gold accents! So pretty. I truly adore this card! It is so elegant and just so very, very beautiful! This is scrumptious! The gold is a nice gilt accent without overpowering. Ta carte est magnifique, très douce.